The Owners Club have over the years, organised large National gatherings where members from across the country, and indeed overseas get the chance to meet up in the flesh and admire each other's cars. Since its inception in 2006, the club has tried to move these meets around the country and hold them at different times of the year so that everyone has the opportunity to come to one. Listed below is a brief synopsis of the events held to date, including our very privileged invitations to the NEC Classic Motor Show. The first of three National meet in 2016 was held on Sunday 17th April 2016 at Cadbury World, Bourneville, Birmingham. The second National meet of 2015 was held on Sunday 4th October 2015 at the British Commercial Vehicle Museum, Leyland, Lancashire. Housed in what was once part of the huge Leyland Motors factory, the museum charts the history of public and commercial vehicles from a time well before the advent of motorways. The vehicles are displayed in an interesting and informative way, this, taken with the very friendly and helpful museum staff on hand to explain and inform, made for a very enjoyable day. 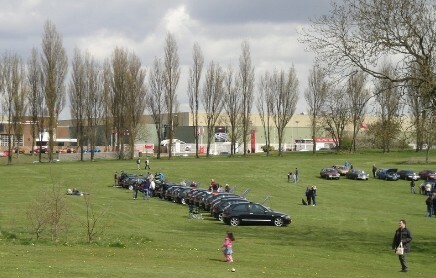 The Club had the use of the museum car park for the event. The museum management kindly allowed us the use of the car park for our event; four cars were parked at the entrance to the museum and were of great interest to the passing public. The cars parked on display outside the event. The customary raffle was held, the star prize of a Navall head unit being won by FLYING BANANA. During the afternoon there was a treat in store for lovers of the Rover marque when Saga Lout’s friend Peter arrived with his Rover P5B Coupé. And under the bonnet, the V8. As the day drew to a close there was the opportunity for the picture all seemed to want to capture, FLYING BANANA’s Sunspot ZT together with the Trophy Yellow 75 of sworks and ZT-T of Organiser. The first National meet of 2015 was held on Sunday 17th May 2015 at Haynes International Motor Museum, Sparkford, Somerset. The very impressive museum building. One of the better venues for the car enthusiast the museum attracted good interest with 73 members attending the event with their cars, indeed we had two people that saw the meet and parked with us. One liked it so much he wanted to join the Club there and then; the other was an owner of a Primrose Rover 75 who was also visiting the museum, unfortunately he was unable stay for long. It was a shame also that Spike had to leave early to limp “Burt”, his Primrose 75, home with a broken spring. Early arrivals get parked up. Member’s register for the event. 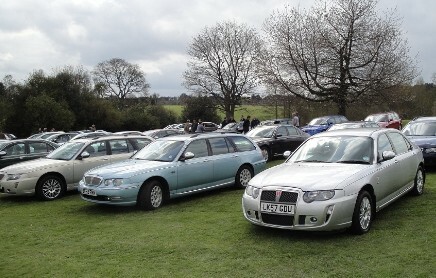 The Primrose Rover 75, whose owner was also visiting the museum. The customary raffle was held, member KernowRover managing to scoop the two major prizes of a flat screen TV and a Navall head unit. thomas 75 connie with Christopher and Reebs. 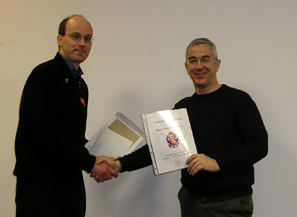 KernowRover receiving his second major prize from Christopher. Italian member mccano was presented with the award for the furthest distance travelled, an epic 936 miles! Member mccano arriving in his lovely Pearl Black ZT-T. FLYING BANANA won the award for the best ZT on the day. FLYING BANANA’s Monogram Sunspot Kinetic ZT. Teflon’s Monogram Lagoon Supertalic 75 was awarded the dual accolade of best 75 on the day, plus the best car overall, and he was duly presented with the 2015 Gryphon Trophy. Teflon’s Monogram Lagoon Supertalic 75. The under bonnet detail of Teflon’s 75 is truly amazing! The 10th Pride of Longbridge was held on the 18th April 2015 at its normal venue Cofton Park, Birmingham, situated just across the road from the legendary Longbridge. The event is now organised and run by the Pride of Longbridge Heritage and Community Group who have been involved since its inception. Unlike the previous two years the day dawned bright, sunny and reasonably warm, so much so that it drew fantastic attendance, consequently breaking all previous records with in excess of 4000 cars and 10,000 people visiting the event. As a Club we probably had one of the larger groups with over 100 members and their cars attending. The Club's area was very well attended. Monogram Aubergine ZT owned by member smiffy. Monogram Chagall ZT owned by member CMWI. Dover White 75 Tourer owned by member spyder. Windrush’s Pearl Black 75 Tourer. Members spyder and Rev Jules view Christopher’s Maltese Copperleaf 75. Trebor’s Solar Red ZT parked with members of the Midlands Nano. Wedgwood Blue Dealer Launch 75s. Pride of Longbridge 2015 from the air showing the impressive attendance. The Club's area was situated to the left of the arrow. November 14th to the 16th saw the Club displaying for the fifth year in succession at the Classic Motor Show held at the NEC in Birmingham. It was an extremely busy three days with a great deal of interest shown in both the cars and the Club. Eighteen new members joined our ranks whilst visiting our stand and a great many more left with a flyer promising to register later. Our thanks to FLYING BANANA, Jules, LimoRog and Mike Noc for allowing us to display their amazing cars and for their invaluable assistance in manning the Club stand. The second National meet of 2014 was held on Sunday 28th September 2014 at The Bowes Museum, Barnard Castle, Co. Durham. Set in very impressive surroundings the museum has some extremely interesting items within its portals, but the highlight of any tour must be the Silver Swan. Far from being a static exhibit, the Silver Swan is an early example of an automaton and beneath the life size silver exterior is a complex mechanical device that controls all the swan’s movements, linked to a music box. Well in access of 40 cars attended and in all honesty looked in place parked in pride of place outside the House. Sworks came with his rather nice R8 Coupe. Yella Fella’s ZT was sporting a rather appropriate label. 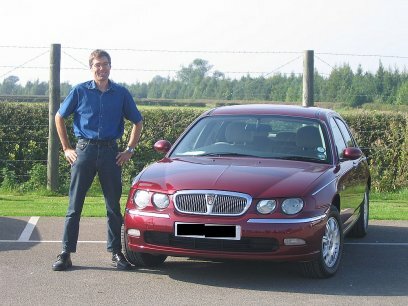 Many travelled some distance to attend the event but special mention should be made of Eric Druyts, who journeyed from Belgium, bringing his rather aptly registered Rover 75. After a visit to the museum many of the members tucked in to a traditional cream tea. During the afternoon members placed their votes for the cars, these were in various categories, the event came to a close with an awards ceremony with rosettes being presented to the owners. The first National meet of 2014 was held on Sunday 13th April 2014 at The Heritage Motor Centre, Gaydon, Warwickshire. Members had two treats in store; the great improvement in the weather over the previous days Pride of Longbridge and the sight of number one parked on the grass outside the museum ready to take part in our timeline display of “Dealer Launch Cars”. Belying its age, still with that new car smell, looking as if it had just come from the production line and with only 33 miles on the clock, number one was a pleasure to behold. The early arrivals were soon treated to an impressive display of nine early 75’s including one members pre-production example, the museums #1 and seven member owned dealer launch cars. Many visited the museum especially as there had been a discount negotiated for club members, it’s an impressive collection many with a Longbridge, Rover or MG connection. Not only does the museum have the first production Rover 75 off the line it also has the last, a rather nice example in Firefrost. During the afternoon there was a very amusing and informative question and answer session given by Rincewind aka Nic Fasci, previously a homolgation engineer with MG-Rover, currently with the UK Vehicle Type Approval authority VCA. A raffle was held presided over by Reebs and actros with the able assistance of sworks, the star prize of an LCD television was won by Moonshine Mark. There was an impromptu monogram themed display of ten cars arranged later on in the afternoon. The Gryphon Trophy was awarded to Rob Wijnstok from the Netherlands for his beautiful Chatsworth Tourer. It had been a busy and enjoyable day with a total of 139 cars attending the event, a record breaking one in the Club’s history. The 9th Pride of Longbridge rally was held at its usual location Cofton Park, Birmingham on the 12th April 2014. The event is organised by the Austin Longbridge Federation and is open to all vehicles that have a connection with Longbridge. For the first time any club associated with ALF was able to pre-book a display area and at least 40 groups took advantage of this, ourselves included. The day dawned finer than the previous year, dry if rather fresh, however there were still areas of the park that were boggy and best avoided. In all it was the largest gathering ever at the venue with a reported attendance of between 2000 to 2300 vehicles covering many decades and marques. We had an impressive amount of vehicles arrive, so much so, we had to extend our designated area twice. A view across Cofton Park towards our display area. Scenes from around Cofton Park………………….. In all a very good, if at times bitterly cold, event with probably the most impressive amount of vehicles, with connections to Longbridge, ever assembled. at the NEC in Birmingham for the fourth year in succession. It was a very busy three days with great interest in the club and the cars. We had 21 on the spot registrations with many more promising to join from the comfort of their own home. 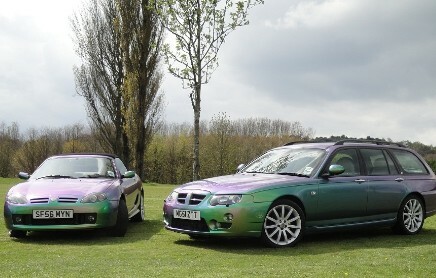 Thanks to Duotone, Jules and Jezzer 1 for allowing the use of their immaculate cars for the club's display. The second National meet of 2013 was held on Sunday 8th September 2013 at AeroVenture, Doncaster, South Yorkshire, and followed on from a successful spanner and family gathering the day before. A total of 61 cars arrived at the aircraft museum for the National and thanks to the efforts of club members Andy Willi and Actros in hosting a spanner day with evening BBQ and quiz the day before, many members were able to make a weekend of it camping overnight for the club's 15th National meet the following day. The weather was fine and the company excellent as many old friends met up once more and lots of new faces arrived too. at the National Botanic Garden of Wales, Llanarthne, Carmarthenshire. of a rebuilt “Olga” to Jeff, instigated by Eurorover. at the NEC in Birmingham for the third year in succession. Our stand was located right beside the Live Stage where the likes of the “Wheeler Dealers” were featured. Due to this we were kept very busy with enquiries regarding the fine examples of the marque that were being shown. As a result we had many new members register whilst at the event or promise so to do on their return home. Thanks go to FLYING BANANA, juzza0 and SD1too who supplied their immaculate cars for display on our stand. The second National Meet of 2012 was held on Sunday 9th September 2012 at the Lakeland Motor Museum near Backbarrow, Ulverston. The museum is located in a beautiful part of the Lake District and houses some very interesting vehicles together with a display dedicated to the Campbell’s and their record breaking machines. they then made their way to the clubs gazebo to register ready for the event. A visit to the museum was then top of the list of most members before visiting the café for refreshments. It had been a great meet at an excellent venue with like minded people for company and as the day drew to a close members started to make their journey home. 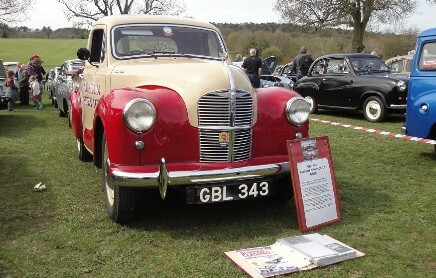 The first National Meet of 2012 was held on Sunday 15th April 2012 at the Avoncroft Museum in Stoke Heath, Bromsgrove. The MGR enthusiasts’ weekend now continued with a visit to the Avoncroft Open Air Museum in Bromsgrove where many interesting buildings collected from around the country are on view. Proceedings commenced at 10:30am with the added benefit of warmer weather, the previous day at Longbridge had been rather chilly. 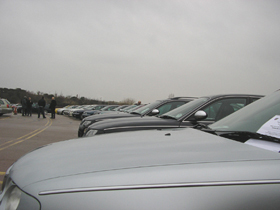 Over 100 cars attended which did rather stretch the parking skills of Actros and crew. It had been a rather pleasant day in the company of like minded people with some amazing vehicles on show, but unfortunately like all good things it had to come to a close and by 5:00pm most had started their journey home. 2012's first National Club Meet was incorporated into a two day event. The MGR enthusiasts’ weekend commenced with the 7th annual Pride of Longbridge rally held on Saturday April 14th at Cofton Park which is just across Lowhill Lane from the factory now operated by MG Motors. 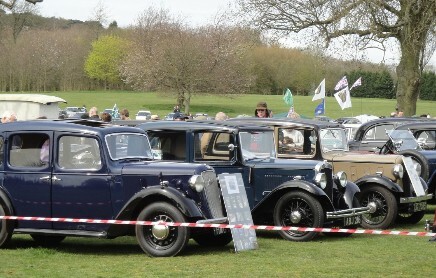 This event, organised by the Austin Longbridge Federation, featured 1100 cars over 100 of which belonged to our members, so the club was well represented. In total over 3000 people were at the event which is rapidly becoming the largest gathering of its type in the world. A spectre in its own right! November 11th 12th & 13th saw the club attending the Classic Motor Show at the NEC in Birmingham for the second year running. We were inundated by visitors many of whom didn't know of the club's existence, which was exactly why we were there. As a result we acquired 31 new members at the show, with the promise of many more going to register when they got home. Duotone, Tony Bubble, Trophy Yellow Mark, and Jezzer 1 all supplied their gleeming cars for display on our stand, and you couldn't hope to find a wider choice of vehicles to show off the marque. Why not take a seat? The second National Meet of 2011 was held on Sunday September 18th at the Norfolk and Suffolk Aviation Museum in Flixton, Suffolk. This was the club's 11th National Gathering. Members started arriving from 10am and the last few left at 5pm. 61 cars attended and were parked in between the varied array of aircraft on display there, making this a rather unique setting for a National. The weather was kind, which helped make the day a tremendous success. Many thanks go to member Woolleysox for donating a brand new flag depicting the club's logo which we flew with pride all day. There were certainly some magnificent machines on view. With a wide selection of saloons, tourers, MGs and Rovers in many different guises. The Club Team were on hand as usual to present the raffle, and member Starbug2 managed to scoop up several of the prizes including an LCD Digital TV. Some very shiny cars nestled between some stunning exhibits. 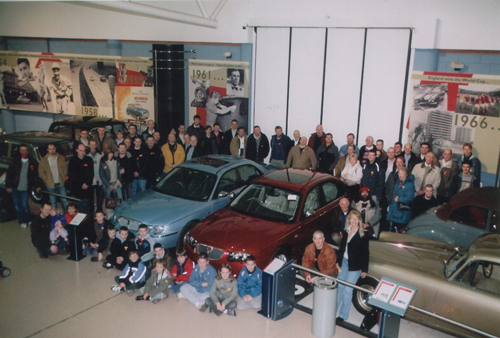 The Atwell-Wilson Motor Museum established in 1962 played host to the club's first national get together of 2011. This was a lovely venue in which to meet and offered a wide selection of classic exhibits from yester-year. The day began with the arrival of the Club team at 9:15am to get things set for the official opening time of 10:30am. To say it was a bit nippy would have been the understatement of the year, but the sun was out, and we could ask for no more. (as the last one fell foal to 'Typhoon Gaydon') work began on erecting the various flags and signs to tell of our presence. No sooner had this begun than some of the early bird members started to arrive and put Actros, Dragrad, and Jake amongst others through their paces. and 88 people in attendance. November 2010 marked the Owners Club's first appearance at the annual NEC Classic Motor Show. 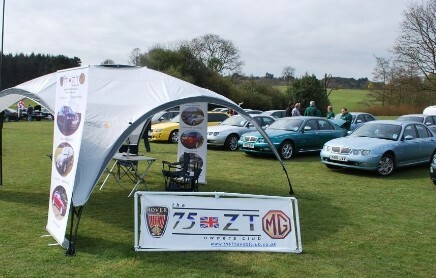 After two years of trying, we finally secured a stand and over the three day event were able to promote some fine examples of the marque, as well as introduce to many, the experience of sitting behind the wheel of a Rover 75 and MG ZT. The Club's stand was manned over the course of the event by Christopher, Reebs, Dragrad, Phil, JakeW89, djw40 and Jezzer 1, both of whom surrendered the use of their vehicles for the entirety of the display. Over the three days we gave away 114 complementary Tax Disc Holders, sold grille badges, key rings, lapel pin badges, and window stickers. In addition many new members joined up on the spot, and many more registered later from the comfort of their own homes. As the newbie’s in town, we were made to feel very welcome by the more established stand holders adjacent to us including the SD1 Club & Rover P6 Club to name but two. For the nineth club national meet, we returned to where it all began for us, Gaydon Motor Centre, Warwickshire. 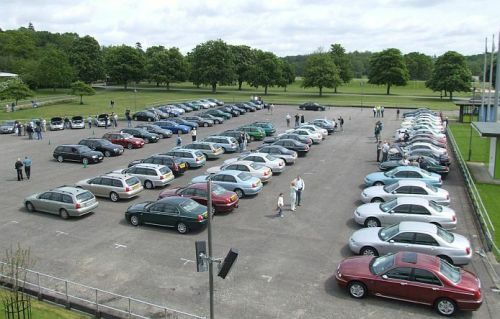 Taking place on 25th April 2010, over four years since the inaugural meet, this time there were 107 cars in attendance. 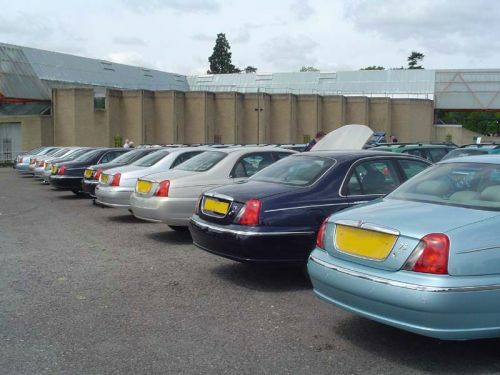 Gaydon is of course significant in that the motor museum contains the very first and the very last Rover 75 to roll off the production lines, so we were in good company. 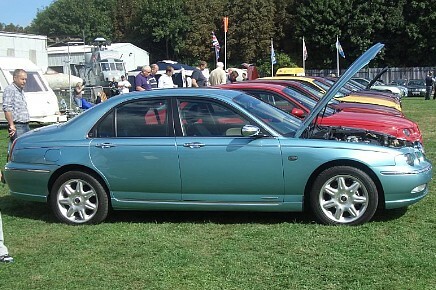 Once again, many fine examples were present, including a long wheel base limousine, Rover 75 V8, and a couple of very shiny Monogram ZTs finished in Shot Silk and Bittersweet 'flip' paint. The weather, although rainy in the morning soon cleared, but did unfortunately leave a rather gusty breeze, which at one point caused one of our gazebos to take a turn for the worse. Several trade stands were also introduced on this occasion manned by a selection of our trader members, all offering goods and services to those present. Once more the Gryphon award was given as well as the raffle which we have all come to know and love. The eighth National Meet took place on 18th October 2009 at Ferry Meadows, Nene Park in Peterborough between 10:30 - 5:30pm, and was the second national get together of 2009. On this occasion we had a turn out of 70 vehicles all of which were suitably polished and were a credit to their owners. Our meeting point was in the main car park of the site, however Ferry Meadows had much more to offer especially for those members with families, including a water sports area as well as a railway which ringed the perimeter of the park. As always, there was an excited huddle around our registration area as the raffle was drawn and prizes were given. A good time was had by all, with another opportunity for club members who speak to each other regularly via cyberspace to say hello face to face. The seventh National Meet took place on 19th April 2009 at RAF Cosford in Shropshire between 10:30 - 4:30pm. With over 117 cars present this proved to be quite a spectacle. The venue was running The National Cold War Exhibition as an additional attraction, and along with having aircraft as a natural backdrop, made for a wonderful location at which to meet. Once again, the Gryphon Award was presented for the best car of show, as well as the customary raffle. With over 100 people gathering round our registration area, it really illustrated the support the members gave to this event. We were graced with an unusual photo opportunity as 10 monogram finished cars lined up side by side. Colours included Bittersweet, Shot Silk, Chatsworth, Typhoon, Spectre and Mirage to name but a few. The sixth national meet was the first to be spread over a two day period, with an informal social get together on the Saturday at Bucklers Hard in the New Forest, a picturesque 18th century village on the banks of the Beaulieu River. Followed in the evening by a meal at the Royal Oak at Hilltop just outside Beaulieu village. The next day, the meet itself held at the National Motor Museum attracted 61 cars of all variants arriving from 10:15 am, and these were expertly grouped into the customary 75, ZT and V8 collections by our very own club marshal actros. With the passing that year of long standing member 'Gryphon' it was decided to introduce the Gryphon Award for best car in show, as voted for by members themselves, and this we did in honour of him. Xpart again joined us at Beaulieu and gave a very informative presentation in the lecture theatre, outlining the history of the company and how they saw the future, the latest position on spares and the current position with reference to the Chinese and how Xpart would be fitting in with them. That was followed by the customary raffle draw and free tea and coffee. The fifth Club Meet was held in the grounds of Holker Hall in Cumbria on Sunday 23rd September 2007 between 10:30 - 5pm, and 73 cars were in attendance. This meet marked the introduction of our own booking-in table so that members would not be held up at the gate as they entered. Name badges were also issued to the registered members who were attending, and we had our own marshals to park you up as you arrived. There was the normal 'Car of the show' award, the prize being a saloon warning triangle kit kindly donated by Les at SMC and £25 from the club. As well as that we held a raffle with prizes which included chrome capped wing mirror covers, four more warning triangles, and an MG Rover golf bag. We were also lucky enough to secure the services of Mr John Easson, Xpart & M.G.Rover Business Manager. John was able to answer any and all questions relating to spare parts availability on behalf of Xpart. The Club's fourth National Meet was held on March 18th 2007 at the Haynes International Motor Museum Sparkford, Somerset. The Club was given it's own parking area outside the main entrance to the museum which was exclusive to us, and the car park adjacent to ours had Ferrari's and Lamborghini's from the museum parked up. It also just so happened to be the 'Haynes Dream Car Day' which was held on their own test track and consisted of a range of cars being brought out of the museum for the day and being driven around the circuit. The prestigious Haynes International Motor Museum, at Sparkford in Somerset is the UK's largest exhibition of the greatest cars from around the world. A living and working museum, with over 340 amazing cars and bikes from nostalgic classics of the 50s and 60s, glorious Bentleys and Rolls Royces to exciting super cars of today, like the Jaguar XJ220. Our meet started at 10.30am and continued until 4.30pm, there were over 100 cars in attendance which was a record for the time and included 13 V8s. There was a raffle, and access to the museum and coffee shop was also available. 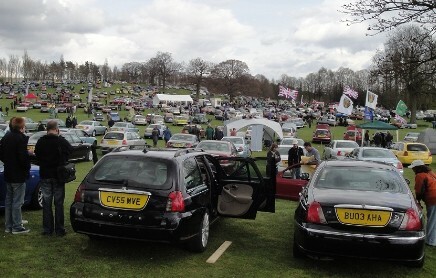 Despite the rather changeable weather on the day, we had a very good turn out and a fine selection of cars on display. The third meeting of the 75 & ZT owners club has now taken place at Eden Camp Yorkshire and what a meet it was. We had 58 gleaming 75s and ZTs plus four other makes in the car park joining ours. We have had so much more good feedback on this meet that it even puts Beaulieu in the shade. Well done to all that attended our third meet in the last year. 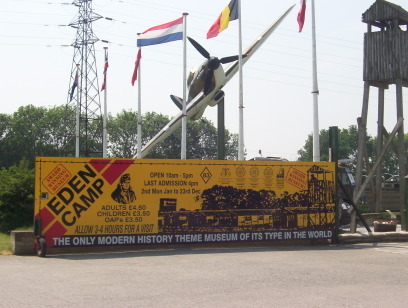 Eden camp came up to our expectations and proved to be the ideal place to hold the event, not only was it interesting but extremely well laid out with excellent facilities for people of all age groups. Thanks to Nick at Eden Camp for helping us in organising this event. The car of the show award was won by Livermpj with his immaculate copperleaf 75 the car is a real credit to him. His prize was £50 worth of vouchers from the meet sponsor Rimmer Bros.
We have tried to keep all of the meets different and up to now we think we have achieved our aim so lets hope the next meet will be as different as this one was. There will be no news about the next meet until a little later this year but we are aiming for the meet to be in the early part of next year. 84 lovingly polished cars and some of the best sunshine we’d seen in weeks, made the Rimmer Bros sponsored second Club meet at the National Motor Museum, Beaulieu, a great day out for members and the public on the late May Bank Holiday weekend. pictured from the Museum monorail. More than 160 members and their families travelled from all over the UK and Europe to the beautiful New Forest setting. 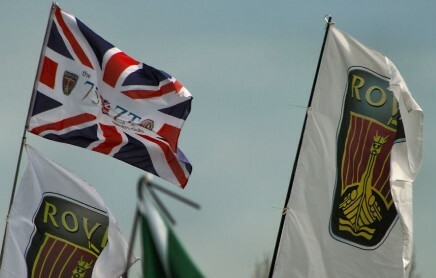 Cars from Italy, Luxembourg, Germany, Belgium, and even Glasgow, showed that Beaulieu was the only place to be on the day for all serious 75 or ZT drivers. The visiting cars represented nearly every model and type from the earliest Cowley built 75’s all the way up to the final ZT260 V8 models. The National Motor Museum really is a superb venue, set as it is in the heart of the New Forest, yet with easy access from the motorway network. Beaulieu staff provided every help and assistance with pre-planning and on the day support. A special mention must go to Brian from the Museum staff who worked tirelessly throughout the day to make sure everything went smoothly. Brian also helped us to choose the winners of the best 75 and best ZT awards, the prizes were £25 worth of Rimmer Bros. vouchers to each owner which had been kindly donated by Rimmer Bros. themselves. Club members also voted for their own Members Award, and the winner, Alex, will receive one of the first copies of the new 75 Haynes Manual when it is launched in August. Prize-winners with their prize-winning cars. We were delighted to welcome The President of the European based Club-Seventyfive, Frank Rosenfeld, to Beaulieu, and to present him with an engraved model of a Rover 75 as a thank you from the club for the great support shown us by his club and European owners. 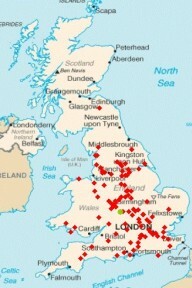 Many members commented during the day at how quickly our club has grown. They said that they now felt that the club is going from strength to strength. Membership is growing rapidly as more and more of the cars come onto the affordable second hand market. The newly launched club website provides a host of technical support, club news and information, and the club forums are packed out with both chat and sound advice, seemingly on a 24/7 basis! On a final note, nearly all members left Beaulieu with an unexpected gift-sunburn! The late May Sun caught us all out, but after the first and freezing cold January meet at Gaydon, nobody was complaining. More lovely 75s in a row. The next club meet will be held in Yorkshire in September, where we look forward to welcoming many more members from Scotland and the North (as well as all parts of the UK and Europe) Watch out for full details here and on the club forums. A few thank you’s - The 75 and ZT Owners Club want to thank Rimmer Bros. who supply the full range of MG and Rover spares, for their sponsorship. If you missed out on the Rimmer Bros leaflets handed out on the day then please see their banner ad on our club forum based at www.mg-rover.org. And finally a big thanks to Ken and Christopher who worked tirelessly to make this meet a superb success. We are all very grateful for their efforts. Now we know over a hundred people registered to attend, but how many cars did you think would actually be there? An outdoor event, in the cold, the wind, the early Sunday morning, some people quite local, many from some distance, and three from Europe. All to reunite their models with each other, Cowley and Longbridge alike. A few perhaps? Maybe even half? Well, we counted them all and the total was outstanding. 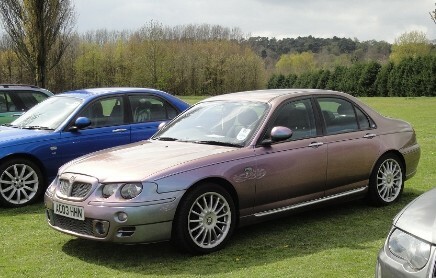 100 Rover 75 and MG ZT models blew in to Gaydon for the first ever meeting of the club. That says a huge amount of the people who own these cars, their dedication to a club in its infancy and their enjoyment of meeting fellow owners. Brilliant. A couple of noteworthy arrivals caused everyone to stop and stare. First perhaps was Luciano Luppi, confirmed Anglophile and the proud owner of a beautiful black ZT-T, arrived after a 1,000 mile trip from his home in Genoa. Not far behind was Jan Glazemakers from Gent in Belgium in his facelift 75, and a star turn for a rather wonderful two-tone saloon as it gracefully joined the ranks. As the gathering steadily grew large, Mike disappeared inside with Luciano for an important appointment; the club had been invited onto the Les Ross morning radio show on BBC's Radio WM to talk about the meeting, the cars and of course, Luciano's sprint across Europe to join us. As more people mingled around the various models now parked up the interview boomed out across the cordoned-off area, Mike explaining about the club and encouraging listeners to come along. Whilst it was fun to hear a ZT 260 Tourer's throttle being blipped in the car park, soon it was time to head inside. A hot drink and a sit down in the Conference Room to hear Mike McCabe welcome everyone and let us know about the rest of the day. Only two really important points; a group photo of everyone round two very special cars, and the winners of the best R75 and MG ZT present were to be announced straight after the pics had been taken. In good spirits and humour everyone present listened, chuckled, and asked questions, before a couple of questions wrapped up the short session. Well, not quite, as Juergen Schonfeld, representing the European club r75.info, came forward and presented Mike with one of their club badges and a commemorative certificate congratulating the club on it's first event. Remember, before the 75 & ZT club there was an active band of enthusiasts already touring around Northern Europe and meeting up with their versions. A wonderful touch from you guys, and thanks. Juergen Schonfeld congratulates Mike McCabe on the first event for the club. Time to have a wander. If you've never been to the museum then it's well worth a visit. Some superb displays of cars of our past, with a MG B GT cut in half for you to walk between the two pieces, or the turbine Rovers of over 40 years ago, or perhaps the concept cars like the mouth watering MG EX-E. But of course the two stars were the first and last 75 models built, positioned side by side especially for us by the Trust staff. With everyone crowded round them photos were taken to mark the event. The day was flying past by now, and the results of the competitions were announced. Keith Adams had gone round the cars, ignored the bribes and made two excellent choices. First, the best 75. This went to a car that simply stood out on account of its two-tone blue over silver coachwork. 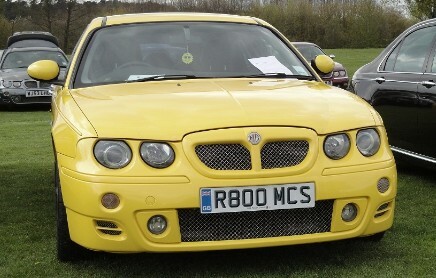 Next up, the hotly contested ZT competition, which eventually was awarded to one of the three Yellow MG ZT-Ts. One final, special prize though; to Luciano for his intrepid 1,000 mile journey just to join in the fun and say hello. Richly deserved and wonderful to meet a fellow enthusiast from Italy. The winners of the first club competitions. So, with the day coming towards a close, members wandered around and looked at the cars grouped outside, got another hot drink and walked around to say farewell to everyone else who had come along. Farewells exchanged and more ideas given to the club on future events and web stuff. A long day, but what huge fun, and roll on summer for the next meeting! Say hi to the Club! To download a full-size version of this picture, click here. File size is 3.1Mb - so please be patient! Our thanks to the British Motor Heritage Museum for their help and facilities. Images supplied by club members who retain individual copyright.